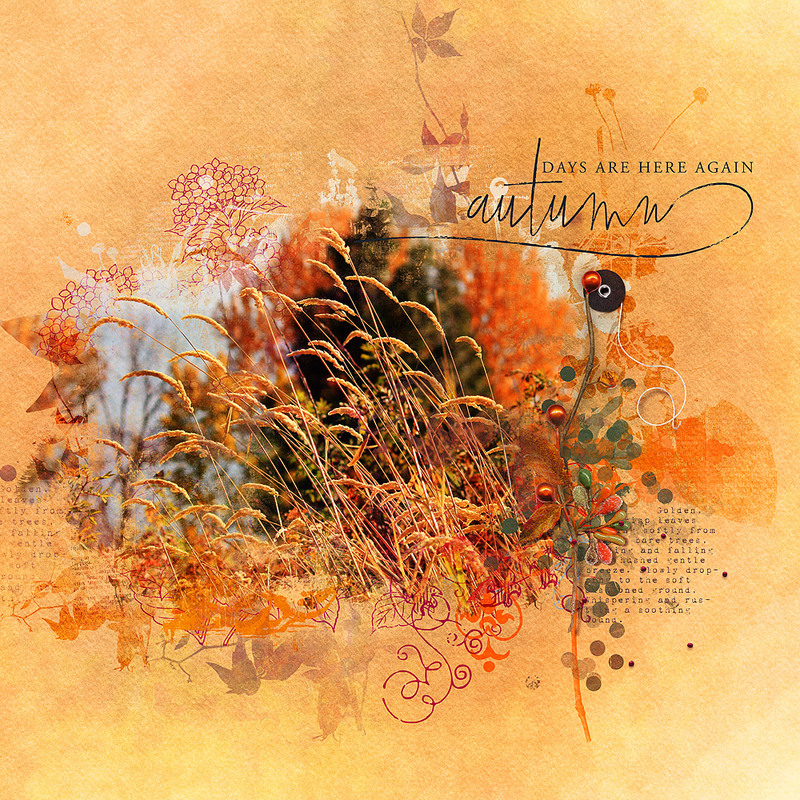 Hi Everyone, Jane here today with a fall page using the new Art Therapy #8 Collection. 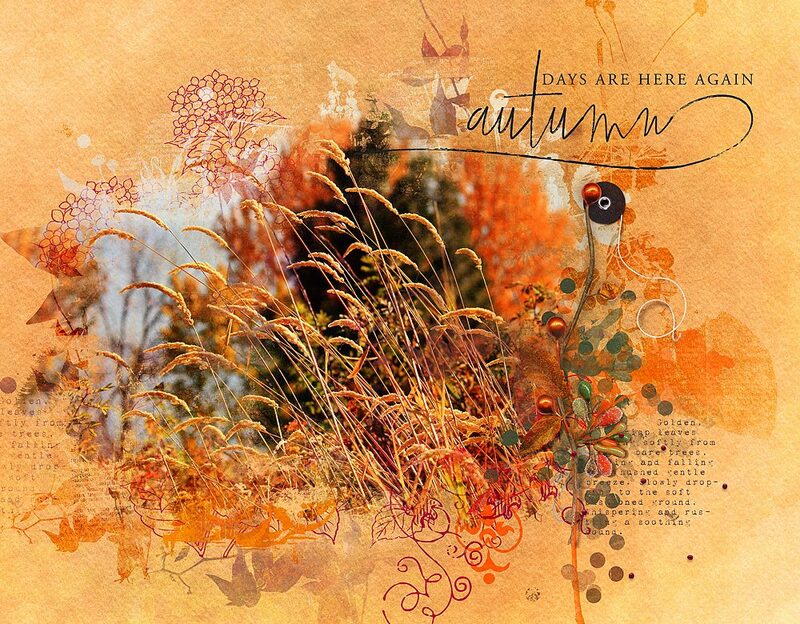 The colors are perfect for all your fall photos. – We just arrived home from vacation this week in time for me to cook dinner today for Canadian Thanksgiving – its definitely a busy time of year. Fall is in full swing around here, with crisp days and clear skies. The grapes are being harvested and the apples picked. I love this time of year. Hope you all have a wonderful day! I used the Water Color paper, Artsy Bits, Painter’s Toolbox Mixed Styles and Painters Toolbox Brush Mix. I created the mask using a mix of the brushes, then added additional brushes with a style applied.